Stand-up comedian, author, actor and playwright Lewis Black joins The Modern Theatre’s Conversation Series on Monday, April 2, at 7 p.m., Black will discuss his career path, from graduate student at Yale to Grammy award-winning political satirist, with Robert Brustein, Distinguished Scholar-in-Residence at Suffolk University. 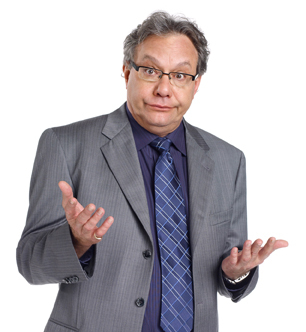 Black is host of the Comedy Central series "Lewis Black’s The Root of All Evil" and a regular contributor to "The Daily Show" with Jon Stewart. He is notorious for his use of yelling, hyperbole and profanity in his political comedy. He's been seen on "Larry King Live," "Late Night with Conan O’Brian," "The Late Show with David Letterman," "The Rachel Maddow Show" and "Countdown" with Keith Olbermann. The Modern Theatre at Suffolk University is located at 525 Washington Street in Boston's Theatre District. For tickets and information, call 800-440-7654 or visit www.moderntheatre.com.